It is now a well-known fact that most of the traffic on the websites come from mobile devices. For any business, it is important to optimize their sites for mobile devices and attract new potential customers. 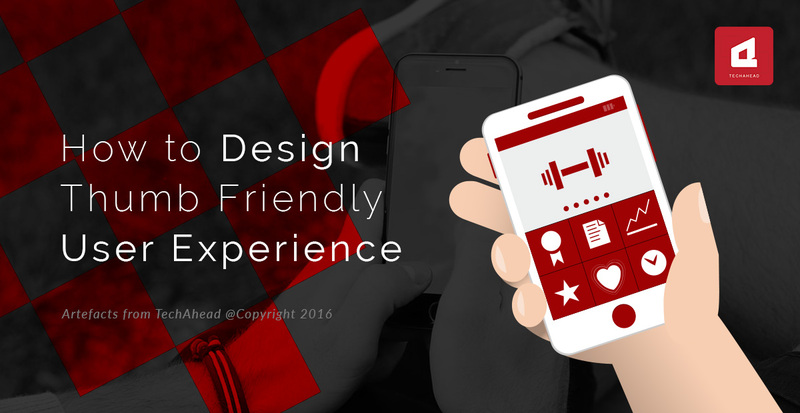 Having that in mind, it is now a need of the hour to design thumb friendly user experience. These are the thumbs that make us different from animals and it is also the most important finger for mobile operation. According to the results of a study conducted, the majority of the people single handed hold their devices and use the thumb to operate the mobile phones. That is why app makers have to think hard to make the apps friendly for operation with the thumbs. Here we will discuss ways to design mobile experience with the usage of thumb. In the recent times, mobile devices are bigger in screen size. Even Apple Inc. which had the reputation for designing devices that were close to user experience also adopted this trend and introduced mighty screens sized phones starting with iPhone 6 and 6 Plus. Larger screen phones are easy to use with the tap and gesture of the fingers but they are hard to operate with the thumb. This is the time when app makers have to really think about designing thumb friendly apps. The designers need to focus on the area of the screen that is accessible by the thumb of a normal size. 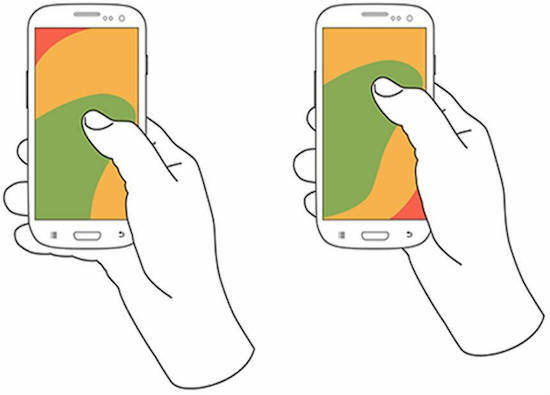 The thumb zone differs in each mobile phone depending on the size of the screen. That is why most of the navigating options should be placed within this area reachable by the thumb. It would also help to design the apps usable by both hands. It is vital to design principles with respect to the thumb zone in responsive websites. Most of the mobile friendly websites use a hidden menu for a smooth user experience. This is a time when introducing the drop down menu can be helpful in creating an even better thumb friendly user experience. The thumb movement over the touch screen is the key to designing the ideal and easily accessible UI. For that reason and purpose, it is wise to place the most accessible items within the thumb zone and least and hardly used items elsewhere on the screen. This will encourage the users to concentrate and operate the sites with their thumbs eliminating the need of the fingers. The use of gestures in opening certain apps, locking and unlocking the screen and other uses have been widely appreciated by the audience at large. It is important to introduce the use of gestures within certain websites to make them easily accessible with the use of the thumbs. These are some elements that should be considered when designing the mobile user experience. There can be more ways as well which the developers need to find and explore to give the users the ideal UI. Larger screen phones are easy to use with the tap but are hard to operate with the thumb, app makers have to think about designing thumb friendly apps.